Perhaps the last place you might expect to find a giant postcard is posted to the side of a Swiss glacier. Yet, in November 2018 that’s exactly what visitors to the Aletsch Glacier encountered. 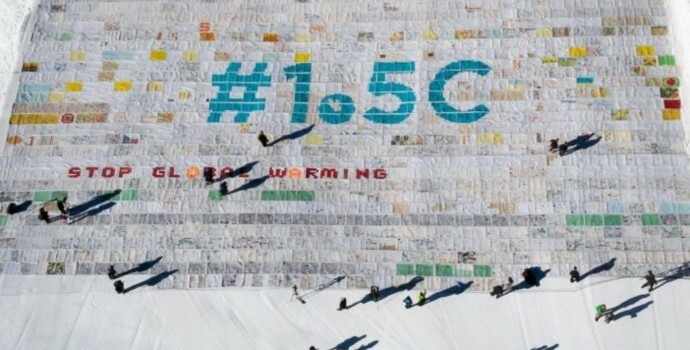 The 1.5˚C message is important because this is the limit which would help to keep the impact of climate chaos and global warming at a tolerable level, as specified in the special report by the Intergovernmental Panel on Climate Change (IPCC). It shows that under certain conditions, it should still be possible to limit global warming to no more than 1.5°C. 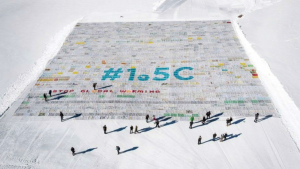 To highlight this important message, the WAVE Foundation, a not-for-profit organisation dedicated to conservation causes, initiated the giant postcard project in conjunction with the Swiss development agency. 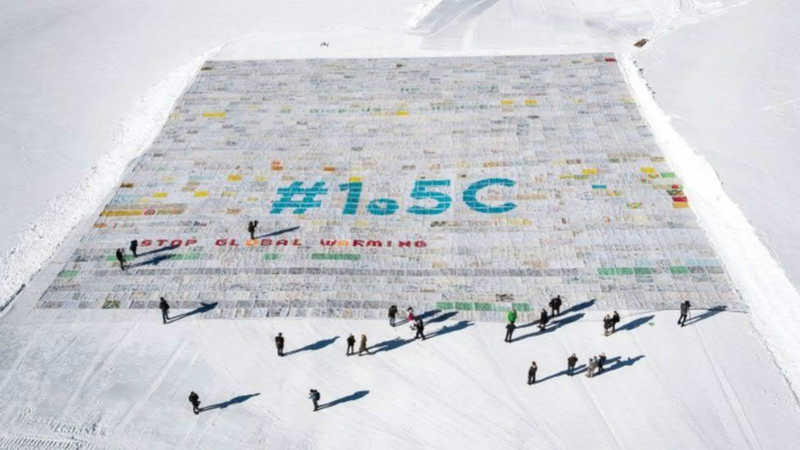 WAVE chose the Aletsch Glacier to host the record-breaking postcard’s message because it is one of the European locations most affected by the impact of Climate Chaos. Scientists have warned that the Aletsch Glacier could completely disappear by the year 2100 if the current rates of warming continue. The Aletsch is the largest glacier in western Europe – currently measuring in at 23km (14.3 miles) long. Previous PostWhy Are Photobooks Sales Booming in the Digital Age?